Laura Dern with The Gregory Peck Award. Brian de Staic designs and creates the Award. Director Jim Sheridan presented Laura Dern The Gregory Peck Award: For Excellence in The Art of Film on July 16th 2014. Brian de Staic’s work has earned numerous accolades and awards. Brian and Máiread de Staic started their jewellery business in 1981, in the beautiful small village of Dingle. From the very beginning they insisted on using only Irish Hallmarked silver and gold for their original pieces, continuing timeless traditions of Irish jewellery crafting. World-renowned and recognized for its delicate detailing, Brian de Staic Jewellery combines the skilled artistry of a modern master with the unique age-old traditions of the Celts. 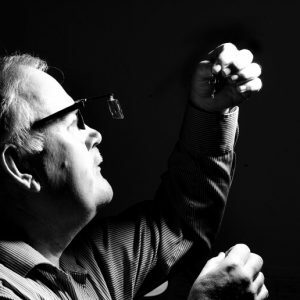 Brian himself personally trains his in-house team, to ensure the highest quality and elegance of each piece. And just like Dingle’s ancient Ogham stones that overlook the Atlantic, each piece is individually hand-crafted with meaning and purpose. Making Brian de Staic jewellery one-of-a-kind. The rings, pendants and brooches aren’t just capturing a memory for you to treasure, they’re also miniature works of art. Please click the follow button at the end of the page right hand corner if you want to read more. I look forward to sharing my thoughts with you.